Dual detection b&w video surveillanc camera monitors home without false alarms. 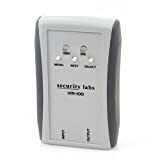 Motion detection is a desirable feature in a surveillance video camera, because it saves both energy and recording space if the camera is only active when necessary. Avoid the false alarms that motion-sensor cameras are notorious for with the dual-detection IR Video Motion Detector Camera. This black & white surveillance video camera combines passive infrared and video motion detection for dual verification prior to triggering an alarm. The IR Video Motion Detector Camera virtually eliminates false alarms. By working together, video motion detection won't be triggered by lighting changes, and the passive infrared motion sensor won't be fooled by sudden heat changes or movement just outside of the detection zone. 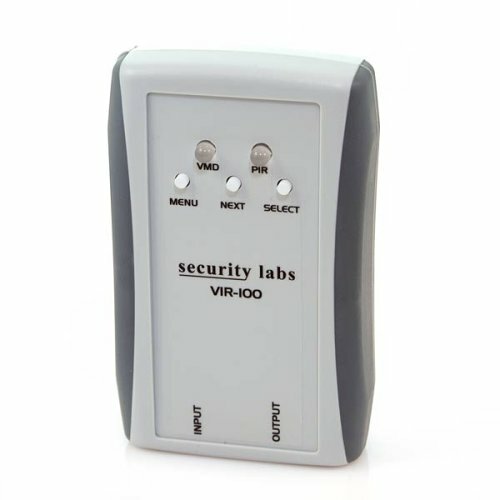 Motion-detection settings include adjustable object size and velocity, as well as a selectable detection area of 132 zones in a 12 x 11 grid. Configuration is easy using the 3-button interface and on-screen display-driven menu system.